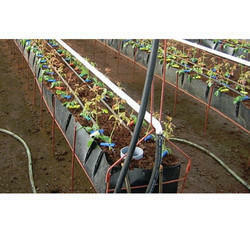 Prominent & Leading Manufacturer from Mumbai, we offer higro hdpe plastic trough- 40 cm width and plastic trough. These are plastic troughs with length 180 mm, width 400 mm and depth 180 mm suitable for any drainage system and can easily be assembled to best serve the grower's needs. They are UV/Chemical resistant with high durability. They can also withstand the rigors of sterilization (MPS) due to the resistance treatment. These are plastic troughs with length 200 mm, width 1000 mm and depth 200 mm suitable for any drainage system and can easily be assembled to best serve the grower's needs. They are UV/Chemical resistant with high durability. They can also withstand the rigors of sterilization (MPS) due to the resistance treatment. Looking for Plastic Trough ?